NMRA has over 1200 members statewide. We take pride in providing our members, and all foodservice providers, with the best resources around. The 2019-2020 Buyer’s Guide is going to press soon! 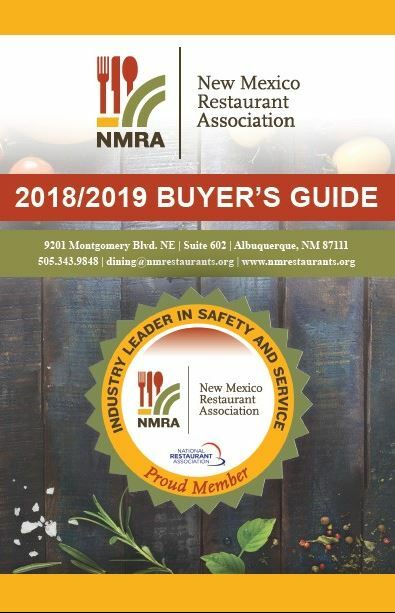 The New Mexico Restaurant Association Buyers Guide is an integral resource for individuals, companies and association members. It is mailed to over 3,900 locations annually, is provided to every new member who joins the association, and is prominently featured at our events and any trade shoes we attend. By getting involved in the guide, you are putting your business at the fingertips of the decision-making individuals and buyers you are looking tor reach statewide. Every Associate member receives a free listing in the printed Buyer’s Guide. Display ads are also available for purchase through our publisher, SVM Media. Display ads start at $595, and NMRA members receive 20% off these rates. 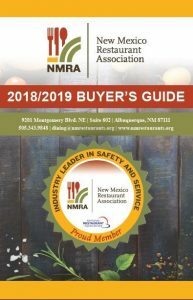 Contact NMRA to review your listing, add your business to the guide, or to be connected to SVM to purchase display advertising.